On March 23 – 26, 2015, MHI will host its premier manufacturing, supply chain and logistics event – ProMat®. Attend ProMat 2015 and connect with over 800 of the industry’s leading providers in person. At TVH, we are dedicated to providing comprehensive, quality service from the initial quotation to final product delivery. Our commitment to service, knowledge and product availability has made us a One-Stop-Shop for our customers and their business needs. 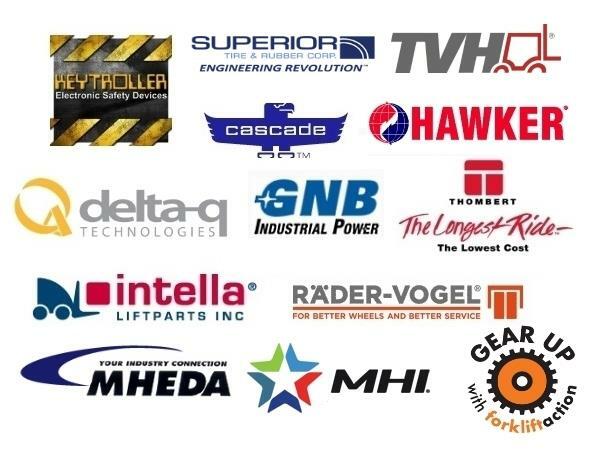 Come to our booth at ProMat to see why you should be buying all of your parts from TVH, and don't forget to grab your cup of popcorn while you are there. More? read: SPEEDING PROBLEMS? KEYTROLLER HAS SPEED SAVING SOLUTIONS! Interested in promoting your ProMAT 2015 exhibit, talk to the team.